Google as we all know, Is the biggest search engine in the world, but Google has many more services other than it’s search function. Google Adwords is a service where people like you and I can advertise our business. Blog or service, at the top of search result pages. Of course, having a budget is essential for running an Adwords campaign, however, your budget needn’t be huge. For example, Google regularly offers vouchers for adwords. If you deposit $25 into your account, Google will give you an extra $75 worth of advertising to work with. A lot of people reading this might be wondering how beneficial Google Adwords is to your website, well I can personally assure you, that a $50 campaign can take your article/service/blog/shop from having 0 visitors, to having 1000 overnight if you so choose. Have we pricked your attention yet? I thought we might have! First off, head on over to Google Adwords and click on “Start Now” and enter in your details – you will also be asked to confirm your email address. Once you have clicked the confirmation link in the email, head on over to adwords.google.com to sign in to your account. Next up you need to decide on which part of the world you want to advertise to, which is where the analytics we discussed in the last article is so important. So for example, if the majority of your visitors are from the UK but you’re trying to sell a product in the USA, then you might want to advertise in the US. You can even narrow it down to specific states, cities and towns if you have a local business. Click on “Create Your First Campaign” Button. Click on “Campaign Settings” and then “Audience” before selecting which regions you would like to advertise to. Moving onto the next part of creating your ad: deciding on a budget. Google will of course make budget suggestions but this is entirely up to you. You can set a daily budget that you’re happy to spend, whether that be $0.10 or $10 it is entirely up to you. You only pay when someone clicks on your advertisement, so each click might cost five cents meaning that in a $1 daily budget, you could receive 20 clicks (and 20 potential new customers!) from spending that dollar. You can change your budget at any given time and Google will never spend above the daily limit. Your ads will stop appearing in the search once the limit has been reached. When you set your budget, so for example $1 per day, that $1 will consist of several clicks. It’s up to you how much you wish to spend on each click. The higher you bid, the more likely your ad will reach new customers. With that said, you are in the driver’s seat with this! You can bid whichever amount you like, many people starting out bid low (For example 10 cents) which will get you 10 clicks throughout the day. Click on “Bidding And Budget” to change your CPC or to set ‘automatic bidding’ where Google bid an amount they think is most beneficial to your ad. Personally, I like to set my own CPC which can be changed at any time. 5 – Create An Ad! Creating the ad itself is the most important part of the whole process. This is what your customers will see before they even see your website so it’s important to be appealing. This is what people will type into the google search to find your ad. This is where it gets a little bit more complicated. However fear not, for I am equipped with all the tools and information you might need. First thing’s first, don’t worry about getting it perfect straight away. You can easily delete or edit certain keywords if you find they aren’t working for you. Be Specific. Using keywords such as “Beauty” is too general and will likely show dozens of ads meaning yours is less likely to appear. I would recommend choosing “Beauty Supplies For Professionals” which Is more specific and niche to your website and will target customers who are looking for those specific things. Start out with 4/5 keywords or phrases. You can then monitor which ones perform better and decide on which ones to remove and new ones to add. Use the keyword tool! This tool is literally priceless and is completely free to use. Using this will show you how many people are searching for a specific keywords or phrases, how much competition there is from other advertisers and how much Google suggests you spend on each keyword. Analyse your ad after a few days. Once a few days have passed, log back in and check how the keywords have performed. Google will show you how many times the ad appeared and how many times it was clicked on. Thanks so much for reading and I really hope this has helped you. Regardless of your industry, Pinterest can increase traffic to your website. Obviously Pinterest works better for more visual businesses like those in the wedding, fashion, food and travel industries than what it does for accountants. But even with accountants, you can still pin helpful content that’ll engage with your target audience. For example, pins which relate to money saving and business tips will provide helpful content to business owners which may/may not be in need of a new accountant. With a business account you get access to analytics, rich pins (we’ll discuss these in point 3), and the ability to promote your pins. If you’ve not already got a Pinterest account, click to create a business account. If you have a personal account already, click the following link to switch your personal account to a business one. Go to your profile and click Account Settings. On profile, in the Website field, enter your website URL and click Confirm Website. Go on to the next page and see the metatag to put in the <head> of your website. Within the header.php file, copy and paste the metatag Pinterest gave you. Insert this code in between the <head> and </head> tags in the file. Click to update file and it’s all go! Qualifying for Rich Pins is another advantage to owning a business account. As well as making your business look more credible, Rich Pins enables you to provide more information with your pin. 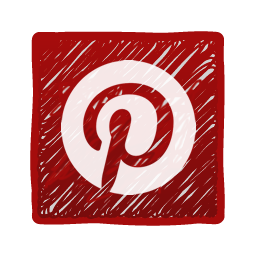 Currently, Pinterest offer 6 formats of rich pins; articles, recipes, places, products, apps and places. In this tutorial, we’ll use rich pins for articles to explain how to enable rich pins for your account. The easiest way to set up rich pins is by using Yoast SEO Plugin for WordPress. As opposed to manually adding Pinterest’s metatags to certain places on your site, Yoast SEO does it for you! To install Yoast SEO click Plugins, Add New and then Upload Plugin. Upload the .zip file for Yoast SEO and click Install Now. Activate the Yoast SEO plugin by clicking Activate in the Installed Plugins section on WordPress. Next, go to the new SEO section of your left sidebar. Click SEO and then click Social. Go to the Facebook section and tick the Add Open Graph Meta Data and press Save Changes. Once completed, click the following link to enable Rich Pins by copying a link to one of your blog posts by scrolling to the bottom of Pinterest’s rich pins validating tool. NOTE: It can take up to 7 days for Pinterest to approve your rich pin application. In order to engage and gain a following on Pinterest – you need a flawless profile with boards that will attract your prospective reader/client. Your first 8 boards are most visible. The first 4 are the most important. They show off your brand, show what you’re interested in and show what you do. From this, they’ll get an understanding of what you’re about. One great way to create an eye-catching Pinterest profile is by coordinating the board covers and name titles. In the world of Pinterest, jumbled up images and mismatched colors won’t do. Your profile needs uniformity. Do this by implementing your brand colors on the board covers and having a style for your board titles. Each board also needs a relevant description that includes keywords your target audience will be using in their search for inspirational content. What content is my target audience looking for? What content will help them? Melyssa helps bloggers and creative entrepreneurs build their businesses using their blogs, social media and email marketing. Her board is simple, matches her brand colors and most importantly – her boards are relevant to what her target audience will be searching. For example: entrepreneur tips, social media tips, blogging tips + email marketing tips. If you shoot your own photography then great, you’re onto a winner! Your photography will be unique & help form your brand. But, don’t worry, if you don’t take your own photographs, there are heaps of websites that provide beautiful stock photography that is blog and pin-worthy (some are free, too!). Here are a few we recommend: Unsplash, Death to the Stock Photo and Pexels. Take note that tall thin images work best on Pinterest. You have the photography – now you need the graphics. You can use design software like Photoshop and Illustrator, but if you don’t have the budget, Canva is amazing for creating your own eyecatching pinworthy images for your content (like the feature image for this post. You can add your headline, change text size, add icons, adjust brightness and play with color. For inspiration for the most pinned images on Pinterest, check out this link to find out more. When it comes to adding your text, your headline needs to grab people’s attention at one glance – so the text needs to be clear and simple. Joining Group Boards is a great way to build your following, show off your content, interact with industry leaders and prospective clients in attempt to increase the traffic to your website. Pingroupie is an amazing website which allows you to find Pinterest group boards which are relevant to your brand. Filter your boards by ‘Collaborators’ – ones with higher members are more likely to accept. You NEED to follow the owner of the group board in order to be accepted. You may need to email the group board owner in order to be accepted. Once accepted, try to pin 1-4 images to your group board in a day. Anymore than that then you might appear spammy. Build a good reputation by repinning other members content from the group board. In addition to pinning your own content, repinning content helps attract your target audience too. Curate great content for your boards by following people in your industry, liking, commenting and re-pinning their content onto your boards. The most likely content to go viral on Pinterest are how to posts, top resources, recipes, guides and checklists. Ensure your pinning seasonal and on-trend content too. TIP: Pinterest is more likely to recommend your board if it contains lots of popular pins. Once a week go through your boards and delete the pins with low re-pins. This’ll make sure your boards appear to only show amazing content people love! Scheduling pins helps save you time + allows you to schedule lots of images to be pinned to your board. Unlike most social media platforms, there are no popular times on Pinterest, Pinterest just likes to see lots of fresh popular content being pinned to your board daily. We recommend using ViralTag and BoardBooster to schedule your pins in advance. If you have any questions or suggestions, then feel free to comment below or tweet us @purelysocialtip. As a lot of you will know, Google has a host of tools available for web developers and bloggers on everything from Analytics, to sharing documents, Adsense and even Adwords where you can advertise your site at the top of Google search pages. Today, we’re starting with Analytics which allows you to track everything from the age and gender of your visitors to how a specific post has performed on your website. email address and a password. If you already have a google account for Gmail or Youtube, you will be able to sign in with this. Once registration is complete, head on over to google.com/analytics and click on “sign in” on the top right corner, before selecting “Google Analytics” from the drop down menu. You will then be redirected to a new page where you will be asked to “sign up”, click on this. Accept the terms and conditions once you have read them. Once that is done, your site is verified and you can move onto using Analytics! Okay so now that you have set up your account, it might take a day or so to show any information. Once this appears, you’re ready to start viewing your website or blog’s analytics. A lot of terminology on Google can be confusing if you’ve never used Analytics before, so I thought before we went any further that I would explain some important ones. 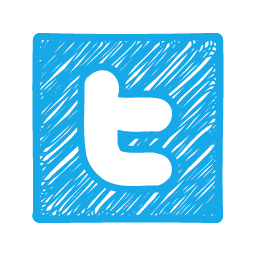 Sessions – This refers to a group of interactions from one user. A session refers to multiple pages being viewed, social interactions and events. Page Views – How many pages your visitors looked at on the site. Bounce Rate – The Percentage of visitors who leave your site after viewing just one page. So there you have all of the Google Terminology explained. Now, let’s move on to navigating through your Analytics control panel. Dashboards basically allow you to create your own “dashboard” where you can view the elements which are most important to you at a glance. For more information on setting up a Dashboard, head on over to Google Help Pages. Shortcuts allows you to view your most commonly viewed reports straight from your home tab. For more help on Shortcuts, visit Google Help Pages. Intelligence Events lets you know about changes in traffic on a daily, weekly or monthly basis. For fore help on Intelligence events, Click here. Now this is the most important aspect of Analytics (In my opinion). This is where you find out who your visitor is, where they came from, how they got there, where they clicked, how long they stayed, their gender, age and location and so forth. By clicking on ‘overview’ you will be given a brief look at your demographics such as how many visitors you received during a specific time frame. You’ll be given a few different statistics such as Bounce Rate and Pageviews which I referred to earlier. You’ll also be given a list of nationalities of your visitors whether they be viewing from the US, UK, Australia, Europe or otherwise. If you look at the navigation on the left again, you will see “Active Users”. To put it simply, Active Users are unique visitors. For me, I use this the least of all the features on the Analytics. The Demographics overview will let you know how many of your visitors are male or Female. It will also let you know which age group they fall into which is great for tailoring future content. The ‘Interests’ section lets you see what interests your visitors have. So for example they might be sports fans, or car lovers. Google is a clever search engine and collects a lot of information from it’s users. This will show you which Geographical location you are being visited from. This is really handy again for catering content to your main visitors – for example if 7% of your website’s visitors are visiting from Australia, it might be worth referring to Australian issues or events on your website. This basically lets you know what your visitors did whilst viewing your content. You will see how long they spent on the site, which pages they visited, which links they clicked and if they engaged or interacted with you – such as sharing your links etc. Technology allows you to see which web browsers and internet networks were used to find and browse your website. So for example, this will let you know if the majority of your visitors used Firefox or Internet Explorer. Mobile will inform you of which device they used when visiting your website, for example, Tablet, Mobile or Desktop. Google has even listed exact phone and tablet models of your users, so you will be able to see if the majority of your visitors prefer Apple or Samsung products as an example. This is pretty self explanatory but again, Google give you the option to customise which items you view so you can find it all in one place. This is a VERY important part of Analytics. Benchmarking let’s you see how your visitors came across your website. So for example, if they clicked on a link in Twitter, found it in a search engine, email newsletter or directly typed it into the URL field. This is important so that you can focus on the traffic sources that give you the highest amount of views. Users Flow let’s you see which page your visitors landed on when they first entered your website and which demographics landed there. This is very similar to benchmarking but is much more streamlined. It allows you to see the referring sites and/search that was used to find your website at a glance. I think I’ve mentioned everything there is to know about Google Analytics. Feel free to let us know if there’s anything I’ve missed and I hope this has been useful to you – I know that when I was starting out, a guide like this would have made my life much easier! How Personal Should You Make Your Social Media? We all have been there – we see a tweet that is borderline offensive but is hilarious and we’ve hit ‘favourite’ before we’ve even thought about the repercussions. As a Blogger of almost five years (and a self confessed social media addict), I can definitely empathise. I have seen some bloggers go from zero to five thousand followers in a day because of a single tweet. With that said, on the flipside I’ve also seen some businesses go from having 120,000 followers and loosing more than 20,000 followers in an instant because they’ve offended people by being too personal, or by ‘liking’ something that can be disagreed with. I know a lot of you reading this are businesses looking for advice on how personal to keep your social media and there are also a lot of Bloggers looking for the same information which is why this article will be split into two sections. The rules for Bloggers and Businesses for social media are very different and so I wanted to keep this clear and individual for both genres. First thing’s first, let’s talk about it from a business point of view. The title might seem pretty self explanatory but let me just go into a bit more detail. Businesses, whether you run an online shop or service, are seen as ‘professional’. I would probably expect some Bloggers to say something offensive or using profanity now and again, but I always expect a business to be professional. I don’t really want to see a business sharing their opinions or using profanity. If I am going to spend money with someone, I want to feel safe and know that if I choose to complain to the business, I will be met with professionalism. At the same time, I also want to know that the business is human and has a sense of humor. 2 – So, what is ‘too’ personal in Business? Do not use profanity in your statuses. Do not ‘favourite’ or ‘like’ any statuses that contain profanity or potentially offensive statuses. Do not engage in arguments. Do not post any images that were not taken by you or that you do not have permission to use. Do not engage in or post any political, religious or sexual discussions. Now that I’ve given you a list of things you shouldn’t do, it’s only fair to give you a list of what to do. Do respond to any messages of complaint or query about an order or otherwise. Do always mention the person’s name in the response (it makes it more personal to the individual). Do show respect. Be sure to post statuses of respect in regards to the deaths of popular people (celebrities) for example “Rest In Peace Whitney Houston. We will forever be affected by your music”. Do post cute animal pictures. Everybody loves a cute cat! These tips will definitely keep your business on the right path on Social Media. If all else fails and you instantly regret posting a status or make an embarrassing spelling mistake, then there is always the delete button. We’ve all been there! Now moving on to Bloggers. 1 – Bloggers should keep it personal with a hint of business. I’m completely reversing the formula in comparison to how businesses should behave on Social Media. I’m a Blogger, so writing about how to behave on social media as a Blogger is really easy for me. I have literally made every mistake in the book so I can 100% talk with experience. People read blogs to feel connected with someone. I read blogs because I like to hear their opinions on products, fashion and even politics. So it’s important that your social media feeds aren’t just filled with “have you seen my blog post? Visit www.no-one-wants-to-see-this-sort-of-thing12345.com.” type posts. When users follow you, or visit your social media, they’re looking for a real time version of your personality. They want to connect with you and are happy to read about your daily activities and hear all about the first date that went wrong. What users don’t want to see is controversy for the sole point of being controversial and trying to get followers. It’s difficult knowing boundaries as a Blogger on social media as users still expect a ‘degree’ of professionalism from Bloggers as people of online influence. Do not get involved in arguments or heated debates. It just portrays you as a ‘troll’. Do not post ‘click bait’ titles to your blog – followers see straight through them and invariably dislike it. (Click Bait titles are catchy titles such as “I’m Marrying My Dog?” when actually you simply say “I love my dog so much I’d marry him if I could” within a blog post that is completely different to the status). Do not post images that belong to other bloggers unless you have their permission. Do not start a campaign unless it is something you truly are passionate about and there are no other likeminded campaigns to get involved with. Followers see it as attention seeking and invariably unfollow. Do not post controversial statuses just to get followers. Do not criticise other bloggers or celebrities. Followers just think of it as ‘sour grapes’. Do not post anything sexually explicit, religiously controversial or politically damning. You could be sued. Yes, it has happened to other bloggers. These are the holy grail of social media No’ No’s for Bloggers so be sure to stick to them. 3 – What should I be posting as a Blogger on Social Media? Do show a BTS (Behind The Scenes) image – people love to see how you work when you’re creating content. Do reply to people who take the time to tweet or message you. It’s just good manners and makes you more human. Do post positive quotes and memes – these are a ‘favourite’ and ‘liking’ goldmine. Do let people see snippets of your life, such as your meals, workouts, outfits and so forth. Do get involved in discussions – politely! These ‘do’s will be sure to keep your social feed interesting at the same time as serving it’s purpose which is ultimately to drive traffic to your blog.As you can see, being a business and being a blogger are two very different things and as such come with very different ‘guidelines’ for social media. One thing that does apply to both bloggers and businesses is that if you are sent a ‘troll’ like message which contains profanities and is derogatory to you or your business, then simply do not draw attention to it and ignore it. Rising to it encourages more comments of the same nature and makes you or your business look bad at the same time. The power of an email goes without saying. I check my email as soon as I wake up in the morning. I am addicted to joining mailing lists. I jump at the sound of a new email notification. And, with 24% of Americans saying they check their email “way too much” and 40% of individuals forcing themselves to go onto email detoxes, I am not alone in this. for every $1 invested into email marketing. Unlike any other content marketing methods, email marketing can get personal. When a subscriber signs up, they give you their name. Their name is key to getting that all important relationship. 74% of marketers claim the use of a name increases customer engagement. You can use their name in subject lines and in the main body of your email. And, it works! Using a name in a subject line increases click through rates by 14% and boosts conversions by 10%. According to Forrester, only 2% of your Facebook fans see your posts whereas 90% of emails will get delivered to a recipient’s inbox. And, the same adults who are liking your Facebook page are twice as likely to engage with your emails than on social media. A mailing system like MailChimp allows you to send thousands of emails at a click of a button. It allows you to schedule them, make them look pretty and organize your subscribers at the click of a few buttons. MailChimp is completely FREE for users who has less than 2,000 subscribers making it more perfect for those who have a limited budget or are just starting out. MailChimp is an incredibly popular platform so it can be easily integrated with lots of software & plugins. Due to its popularity… you’ll find advice & tutorials on everything! It has a very user-friendly, easy to follow interface as well as a drag + drop email template editor…perfect for email marketing beginners! The only way to grow your mailing list is by making your readers aware of your mailing list. SumoMe can help boost your daily signups by up to 20%. It can help you design pop-ups + sign up boxes to embed into your content. If you have a little bit more budget…LeadPages will help you increase mailing list sign-ups – tenfold! It helps you design an opt-in page for your mailing list allowing you to lay out the benefits of joining your list and look uber attractive. Offering a free 30-day detox guide as a lead magnet/free gift for joining your list? Setting up a landing page with LeadPages can help you show off the value of your free gift. People aren’t interested in joining a mailing list unless it benefits them. So giving away free content is the fastest way to grow your mailing list and make you a trustable source. Take some time to brainstorm, create and design content that’ll get your audience signing up to your list. Think about your typical customer or ideal customer. What advice do they usually ask for? What information will be valuable? Find out right from the horses mouth by asking your mailing list to email you with questions, looking at popular blog posts on businesses like yours, seeing what topics are hot in forums and Facebook groups and posting on your on your Facebook and Twitter pages and asking your audience to comment what they’d like to know. An eCourse. Offer a chain of emails as your content bribe. For example, if you’re a personal trainer, offer a 20 day fitness challenge where you send out 20 unique emails with different workouts to get their body into shape. An eBook. Design a PDF that shares information that’ll help your reader. Here are a few examples: smoothie recipes, marketing guides, makeup tutorials, web design guides etc. An explanation of what to expect from your emails. Feature about + testimonial pages so users can get to know you and trust what you do. Link to popular content on your website. An engaged audience is an audience that is likely to grow into loyal clients. So it’s important to connect with your subscribers. The first thing to master is the subject line. It needs to be short, catchy, relevant and personal. The second this is the content. According to HubSpot, 65% of users like emails that contain mostly images. To ensure your emails connect with your readers make sure you break up your text into small sections, use more visual material than text, attractive use of your brand’s colours and interesting content (see below). Send Out Free Worksheets, Guides + eBooks. We LOVE free stuff. Especially when the free stuff is valuable and helps us improve. The free content will help you start a relationship with your audience, show off your expertise and prime your readers for an offering of paid products/services. Recap of Recent Blog Posts + News. Not all of your readers will check your website on a regular basis. Showing off your most recent content in a recap email will keep your readers updated + help get your audience onto your website. Share Details About a Future Service/Product. 72% of people prefer promo material in their inbox compared to 17% on social media. Launching a new service or product? Get your readers in the know by sharing what it involves, the benefits, discounts + any testimonials you’ve already gathered pre-launch. Show the value of being a member of your mailing list by sharing MORE than a reader of your website will see. Ideas include sending out a recipe, tips for success and a link to a secret blog post. You can check out our 30 Engaging Blog Post Ideas to help you brainstorm content! What’s more – you can gain access to a wealth of analytics. Every time you send out an email you’ll be able to see the click through rates, what links have been clicked, the amount of people who unsubscribed, see what works best and monitor what content is popular. And this important data is what’ll help you refine your email marketing content for future emails. You can use MailChimp for FREE if you have less than 2,000 subscribers. MailChimp is a widely used mailing system you’re not short of software and plugins that’s compatible with MailChimp. And, as it is so popular, if you’re stuck with something, you can easily find advice & tutorials on absolutely everything! It’s also amazing for those of us who aren’t so design savvy. MailChimp allows us to easily put together a beautiful email using the email text editor and add in images and columns using the drag + drop template. How to create a ‘list’ of subscribers. How to create a subscription form for your website. What to include in your welcome email. How to design and send your first newsletter. Why you need to include a mailing address & how to change it. First thing’s first, you need to create a list to start collecting email addresses. A ‘List’ is the area where your subscribers name and email address are stored. You can have as many or as little lists as you like for example, you could create a list solely for those who have downloaded a content freebie from your website and/or dedicate a list to your current clients. To create a list, go to ‘Lists’, then press ‘Create List’ and then enter your list details (see below). In the “from” email and “from” name – you may want to fill in your contact email address and a recognizable name such as your URL or business name. You may or may not be aware that it’s a legal requirement to include your address in every email you send out. If you have a business address this is easy. If not – you’re not going to be comfortable with showing your home address, so you may want to consider getting a PO Box. Creating a subscription form that suits your website’s style and brand colors is easy on MailChimp. You can quickly put together a form without the need to learn code by using the easy-to-use form customizer. Follow these steps to get your sign-up form up and running – believe us – you can literally have one designed and set up in just a few minutes! Click ‘Sign Up Forms’ and then ‘General Forms’. You’ll then be taken to a ‘Create Forms’ page. Select ‘Sign up form’ from the drop-down menu under the ‘Forms and response emails’ heading. Now to build your form. The key is to keep things as simple as possible. On the ‘Build It’ tab you can select what fields you’d like to use. Make it as user-friendly as possible by keeping the fields to a minimum. This will avoid people closing the signup form. Only use ‘first name’, ‘email address’ and at the most ‘last name’. You can remove a field by hovering your cursor over each text box. Add a message by clicking the ‘click to edit the message’ box. Here you can add a branded image and a persuasive message to get people signing up to your newsletter (see print screen below). As activation is required – mention in your content by asking your subscriber to check their junk email if their activation email doesn’t show up in their inbox. To get as many subscribers as possible, you’ll need a lead magnet. Giving away content is one of the best ways to do this. So put some time aside to brainstorm and create a free download to offer to your potential email subscribers (you can find lots of advice on building your subscribers in our blog post – How to Grow Your Mailing List). MailChimp makes the designing part easy. Click ‘Design It’ to choose your color scheme (our tip here is to stick with your branding colors). Don’t forget to save the link of your sign up form. This’ll help you promote your email newsletter or lead magnet. And – you’ll be able to promote your URL on social media and on your blog. Now you can design your welcome email. In the same way you created your sign-up form, you can upload your banner logo/image, edit the color and add a thank you message. If you’re adding a lead magnet to your welcome email (which we highly recommend) this is where you’ll add the URL so your new subscriber can download their freebie. To get a unique URL for your lead magnet, save your free download as a PDF, upload to your media library on your website, once the PDF has saved, you will find the URL in the file details AND this is the URL you will add to your welcome email. The welcome email automatically has the title ‘subscription confirmed’ but you can edit this to sound interesting. Now you’re ready to design your first newsletter! Click ‘Campaigns’, then ‘Create Campaigns’, click ‘Regular Campaign’, select your list, press next, add an interesting subject line and edit some other settings if you’d like. If you’re linking to your most recent blog posts, selecting a design where you can add images for each post with the option to write a caption underneath. If you’re using this email to promote a new service or product a design with a 1 column for a top paragraph and 2 to 3 columns below to lay out the benefits of your product may work well. Next you can type in your text, drag and drop in your images, edit the header text and add URLs for your social media profiles. You can select your colors and fonts for your page, preheader, header, body and footer on the ‘Design’ tab. Once you’re happy with your email or ‘Campaign’ (in MailChimp lingo), you can click ‘Next’ to save your template. The next page will give you the option to send out the email straight away or schedule it to go out on a particular date or time. Now you have created one template, you can create multiple email templates to serve a range of purposes; promoting discount codes, special offers, new products, latest content, advice and a recap of your recent blog posts. TA-DA! Your first email newsletter is finished! How easy was that?! Now you’ve gotten to grips with MailChimp, you can now plan your email marketing strategy to get your sales booming! If you have any questions, please leave us a comment below. The title might be a tad dramatic, but in all seriousness, these tools are the base of everything I’ve been discussing with you over the past few months. One of the main things I’ve always said is that even if I was broke and only made $10 in a year on my business, I would still invest that $10 in PR. “PR” covers everything from advertising to marketing and quite frankly, not a single business in the world can survive without it. As I’ve said many times in these articles (yes, I know it’s boring, but it’s really important and I’m going to keep repeating myself until I’m blue in the face or at least until my fingers are from all the typing and whatnot) that you needn’t spend a single dollar to promote your business. It’s about knowledge and knowing where to go. If you spend an hour or two every week researching new tools and features to help promote your business then you’d be surprised at the amount of ‘free’ coverage you can gain for your business. Sometimes narrowing down the vital tools your business needs to survive can be hard considering there are literally thousands of tools available online at the touch of a button. Here, I’ve narrowed it down to five just for you the lovely readers of Purely Social Media! (You’re welcome). These are in no particular order as these are equally as important as each other. Here’s something I haven’t really gone into great depth about here on Purely Social Media. Surveys are annoying when they are a pop up or if you need to answer one to gain access to certain content. However, a strategically placed survey (right column of the homepage) actually encourages your visitors to interact by completing the survey which also gives you some insider knowledge about your visitor. 1 – Which gender do you identify with? 3 – Do you have a (free) membership with us? We all know how difficult it can be to get a good demographic about who is actually our audience. Asking your visitors their gender and age group will help you to narrow down who your visitors typically are and can help you to cater content to that demographic. For example, if your average visitor is a female aged between 35-41 years old then you could write more articles tailored towards parenting, buying a home or tips on de-stressing (we all know having children and moving home is enough to give even the calmest of people stress!). The final question “Do you have a (free) membership with us?” was chosen because of two reasons – one reason is because you make it obvious that they are missing out on something if they are not yet a member. The “free” in the question encourages your visitors to register a membership with you because they have nothing to loose. The second reason the question is a good one to ask is because it also lets you see the ratio of how many visitors are returning visitors to your website in comparison to new visitors. Again this allows you to cater your content to the audience. The survey tool I would recommend is definitely Google Forms. It’s free, it’s easy to use and gives you a tonne of customizable options. There are dozens of online tutorials on using it, however Google have made it pretty straightforward for any users. I would recommend letting a survey run for a week and then changing it up a little to let your visitors see you are adding new content regularly. Again, this is another one we haven’t really discussed at great length before. Newsletters can often be annoying and can back up in our email inboxes without ever being read. However, sometimes, if we are interested in the sender or the subject line, we will take the time to browse through those newsletter and on occasion will even find ourselves placing an order with the company. Email Marketing (AKA sending a newsletter) is an advertising dream come true. Whilst I wouldn’t recommend flooding the newsletter with flashing banners, I definitely would recommend sending a weekly newsletter to your subscribers to let them know about any new offers, products or information you may have. I would recommend using Mail Chimp for sending out your newsletters. Mail Chimp allows you to send 12,000 free emails per month to up to 2,000 subscribers for FREE. Of course, there are paid options available if you wish to send more than the free monthly allowance. 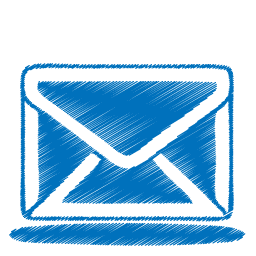 The software is easy to use and can integrate with your mail software to manage your contacts. Again, there are dozens of ‘how-to’ guides online if you need them. By saying it is a ‘limited time’ discount, you give a sense of urgency which makes your reader more likely to click the email which will of course contain the discount, but will also contain a few advertisements too. By mentioning the deal is for subscribers only, you make them feel a bit special and as if they’re getting something that not everyone else will receive. This is a sales strategy that has been used for a long time but it’s one that continues to work! If I had to choose one “Don’t” it would be: do not send anymore than one email per week. If you bombard your readers, you’re more likely to find your newsletter in the trash can before it’s even been read. You’re also more likely to lose subscribers if you send too many newsletters out as they see it as a nuisance. I would recommend sending a newsletter out once per week at the same time each week. This will let the subscriber know when they can expect to hear from you and might even look forward to receiving it. Twitter, Facebook, Pinterest and the dozens of other social media platforms are sometimes never ending. As I’ve said before on Purely Social Media, it’s important that you have a social media Management platform to help you with your social media accounts. Buffer is a great app for social media management. Using the app is simple and straightforward. You simply type a status and an image (if you wish to choose one) and share it across whichever platforms you like at whichever time of the day you prefer. Scheduling is definitely a blogger’s best friend and will save your business a lot of time at the same time as promoting your content regularly. Buffer is free to use and can be downloaded on any smart device. The blogging industry is huge and speaks for itself. Thousands of brands send products and information to bloggers in the hope that they will feature those products or information on their blog which could potentially drive thousands of new visitors and customers to your business. It’s tricky knowing where to send your products. However what I would recommend is searching for bloggers either for free on Google search (by narrowing down results based on location and demographic) or by using paid for tools such as Buzzsumo is recommended. That way you know that you’re only going to hear from people who are genuinely interested and are likely to feature you. It also means you can have a look at their Twitter profile and blog prior to sending a product to them. Last, but by no means least, for today is Contributors. As you know, I am a contributor here at Purely Social Media and am compensated for my time and information. However, with that being said, I am only one blogger of millions. A lot of Bloggers will contribute to your site if you offer them something in return (not always money!). If you offer them “A front page advertisement of your blog for one month” in exchange for a 500 word article which they then will promote on their social media, you might be surprised at how many bloggers would be open to this. Aged bloggers are less likely to take you up on this offer as we often don’t require an advertisement at that moment in time. However smaller, new bloggers might be open to it. I would recommend contacting some bloggers and asking politely, if they would be interested in this. Some might not even respond to you, however some might be happy to contribute which again gives you fresh content for your site and if they are happy to share it on their social media then you might attract a whole bunch of new visitors or customers. To top it all off, the blogger community is a popular one. Your name might end up being mentioned in the industry which can help to open up new doors for your business. You’re definitely not the only ones looking for free exposure – it can be mutually beneficial. Well there you have it, my top five tools your business needs to survive. I know it’s been a long one today but I’m certain your business will benefit from implementing even just one of these steps.